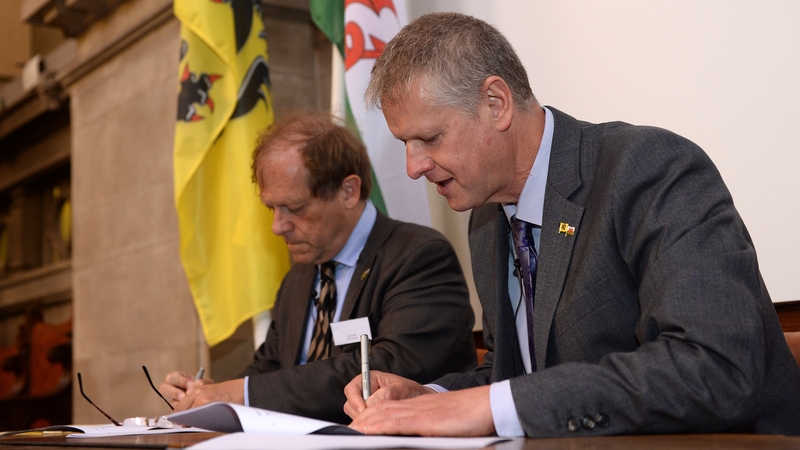 Flanders and the United Kingdom have developed an intensive collaboration between different universities and research centres. This is borne out by international co-publications where Flemish academics are the sixth most occurring partners for British researchers and British researchers are in the top three for Flemish partners. Within the current European research programme Horizon 2020 there are about 500 research projects involving both British and Flemish partners. There are strong academic ties with Ireland, such as the Leuven Institute for Ireland and Europe that provides programmes and events for Irish organisations, as well as the Leuven Centre for Irish Studies (LCIS), that carries out multi and interdisciplinary research.